Welcome Aboard the Tall Ship Empire Sandy! WHY JUST TAKE A DECK TOUR WHEN YOU CAN EXPERIENCE A TALL SHIP POWERED BY NOTHING BUT THE WIND? EMPIRE SANDY WILL BE SAILING DAILY! OFFERING 2 TWO HOUR SAILS DAILY AS WELL AS AN EVENING DINNER CRUISE! Celebrate the first day of summer aboard Canada’s largest passenger sailing ship on Friday, June 21, 2019! Reserve your tickets today. Space is limited. Tie the knot aboard a luxury yacht with the panoramic backdrops of Toronto skyline and the serenity of the Toronto Island Lagoons. Savour the moment with breathtaking sunsets, delectable cuisine, elegant décor, and exceptional service. Imagine your wedding afloat with the charm of billowing sails, thundering cannons and an evening under a canopy of stars. Dreams really do come true. Escape the ordinary! Host your next corporate function, meeting or team building event aboard a cruise ships in Toronto Harbour. Our unique venue is perfect for hosting the finest events and nothing can compare to dining and dancing under a canopy of stars. 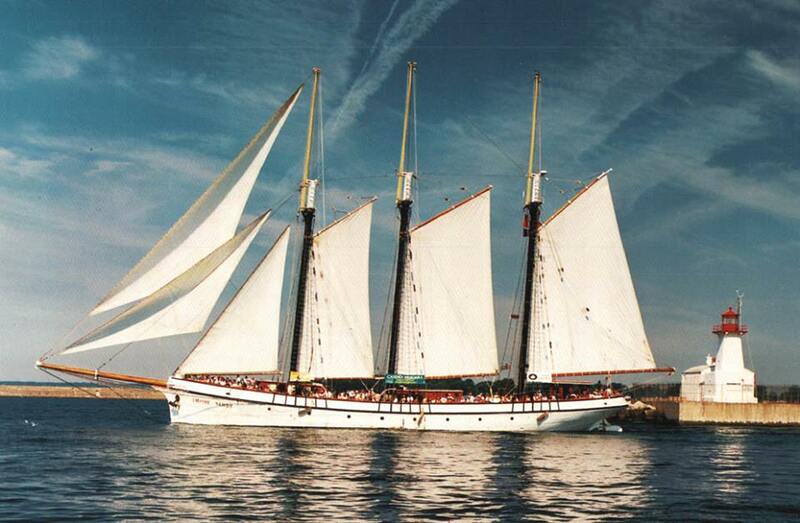 Sail into history with a Toronto boat cruise on the classic schooner, the Empire Sandy. For over 30 years she has been Canada’s largest sailing Tallship as well as one of the original cruise boat attractions at the Toronto Harboufront. Whether you are planning a Wedding cruise, Corporate event or a Private Party we have the experience to make your cruise a spectacular occasion. For more information about a Toronto boat cruise, give us a call at 416-364-3244.